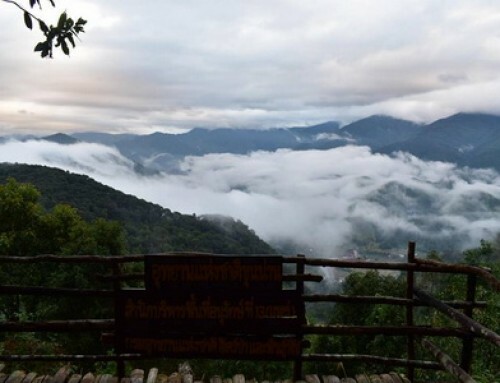 Tham Pla – Namtok Pha Suea National Park is Mae Hong Son Province. 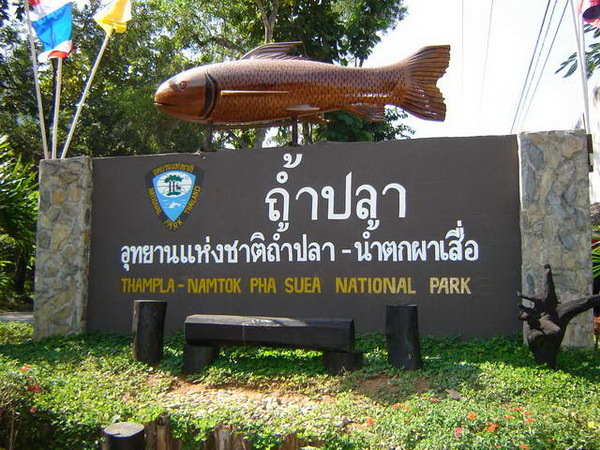 Tham Pla – Namtok Pha Suea National Park is in Pang Mappha and Mueang of Mae Hong Son Province. 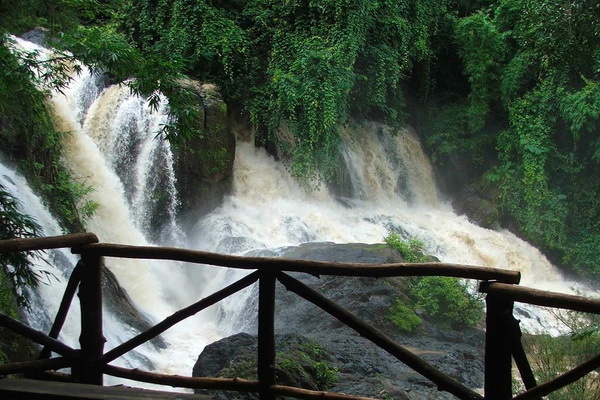 Tham Pla – Namtok Pha Suea National Park was named after Tham Pla Cave and Pha Sueu Waterfall. 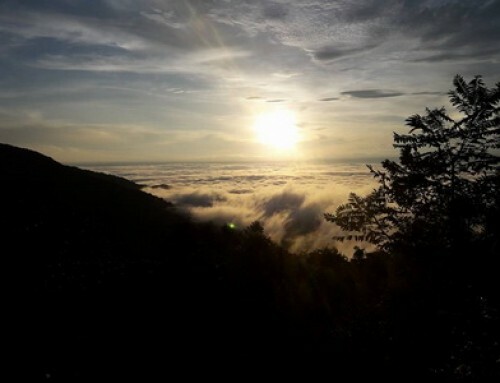 Tham Pla – Namtok Pha Suea National Park is situated in an approximate area of 488 square kilometers or 305,000 rai, covering the areas of Tham Pla – Pha Suea Waterfall in the right hand side of Mae-pai National Conserved Forest, Amphoe Mueang, and King Amphoe Pangmapha. The topography of the National Park consist of high mountains extending northwards, which are the sources of streams and rivers. 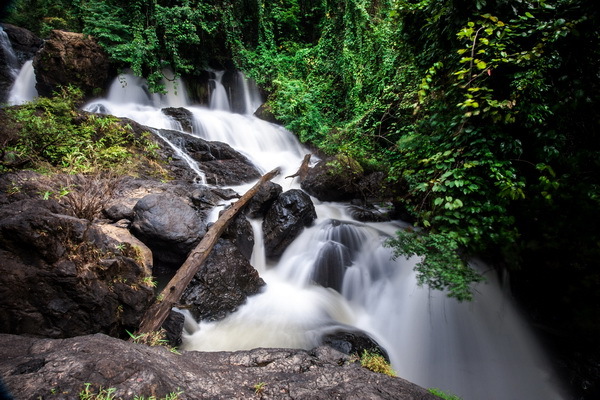 The natural sightseeing spots at the National Park consist of Tham Pla – Pha Suae Waterfall, which are beautiful and very popular for recreational activities. The topography of the National Park consist of steep mountains. 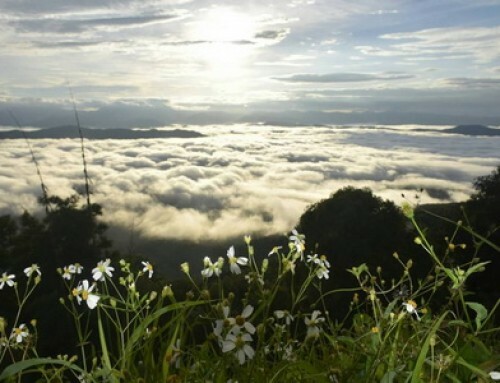 And Doi Lan is the highest mountaintop of the National Park (1,918 meters above the sea level). 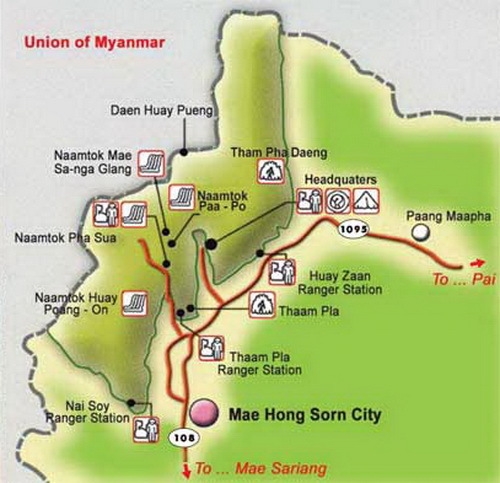 The north and the west of the National Park reaches Charn State of the Union of Myanmar; whereas, the south of the National Park reaches Huay Mhak-uen and Huay Peung of Muang District, Mae Hong Son Province; and the east of the National Park reaches the River of Pang Ma Pha Sub-district, Mae Hong Son Province. 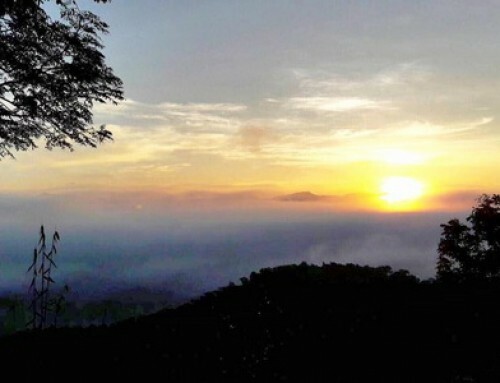 The weather at the National Park is influenced by the tropical seasonal monsoon and can be divided into 3 seasons including the rainy season (May-October), when there are heavy rains (within the 10-year period, it rains 138 days/year); winter (November-January), when the weather is dry and cold; and summer (February-May), when the weather is hot and sultry. 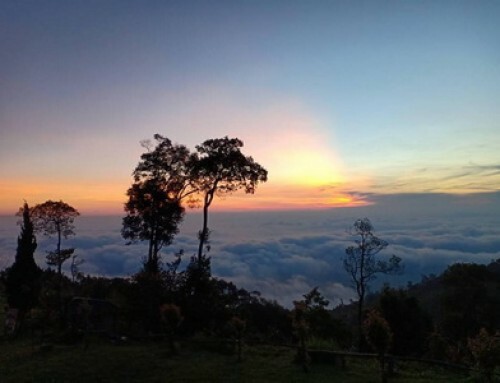 There are various kinds of forests within the areas of the National Park, including tropical evergreen forests, virgin forests, pinery, mixed forests, timber forests, and grasslands. Major plants include Lagerstroemia floribunda (Tabaek-na), timbers, Shorea siamensis (Rang), Sindora siamensis Teijsm. Ex Miq. (Maka-tae), teak, Afzelia xylocarpa Roxb., Leguminosae (Pradoo), Xylia xylocarpa (redwood plants), Lagerstroemia calyculata Kurz. (Tabaek-luerd), Malabar ironwood, two-leaf/three-leaf pines, etc. Wild animals found in the National Park include goral, gaur, wild buffaloes, bears, Muntiacus Muntjak, wild boars, birds, etc. Pla Cave or Fish Cave: Tham Pla is a hillside cave with the flowing water throughout the year. You can watch a large school of blue-black fish called “Soro Brook Carp” or “Labeobarbus Soro”. 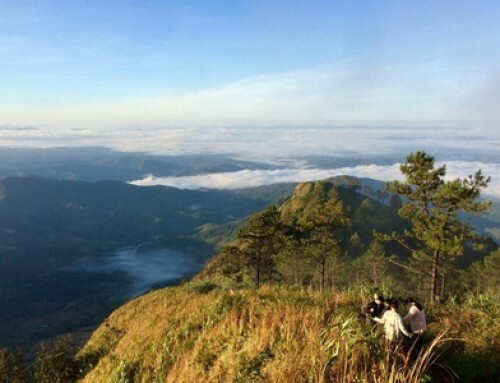 Tham Pla also has beautiful scenery of forests, cliffs, and limestone mountains. Pha Sua Waterfall: Pha Sua Waterfall is approximately 10 meters high and 15 meters wide. In the rainy season, the cliff is overflowed with rains and looks like a mat, therefore, the Waterfall is called “Pha Sua”. 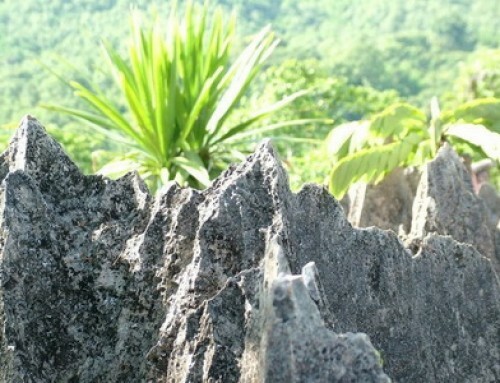 In the dry season, you can watch beautiful rocks. 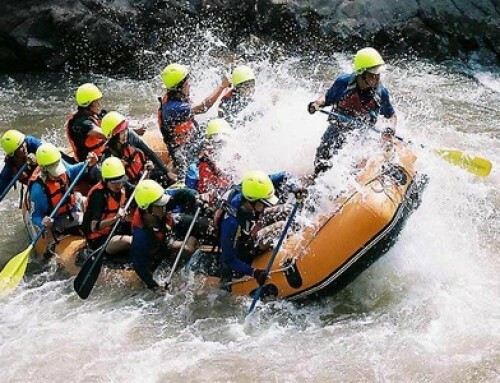 The Waterfall is suitable for recreation activities. Huay Pong-on Waterfall: The Waterfall is situated between the access road to Huay Pong-on village. The Waterfall is approximately 7 meters high and 5 meters wide and having the flowing water throughout the year. The Waterfall also has beautiful scenery and a small basin of 40 square meters for swimming. Mae Sa-nga Klang Waterfall: Mae Sa-nga Klang Waterfall is a beautiful waterfall situated above Mae Sa-nga Dam, with the flowing water throughout the year. The Waterfall is approximately 15 meters high and 10 meters wide, and can be easily accessed by walking or by boat. Pang Ung is one of the Royal Initiative projects by HM Queen Sirikit for highland development. A large reservoir in Pang Ung is popular and attracts more and more visitors to come every year. Its lake view, pine leaves, beautiful mountain scenes, and hazy fog in the morning are a perfect combination for visitors who love to touch by natures. Surrounded by a verdant pine forest, the lake is beautiful in every season. Walking or Jogging along the lakeside are pleasant activities to do. There are camping areas and guesthouses around the lake. Pang Ung sometimes is called “Switzerland in Thailand”. In the winter, sometimes the temperature drops to zero and create a thin film of ice covered flowers and plants. Ban Rak Thai : This village is situated 44 kilometres from Mae Hong Son via Pha Suea Waterfall near the Thai-Myanmar border. Founded by Kuomintang Chinese soldiers, the village is famous for its breathtaking views and tea cultivation. Visitors can see how the tea is grown and harvested and taste some delicious U-long tea. An annual Tea Tasting Festival is held at Ban Rak Thai in February. 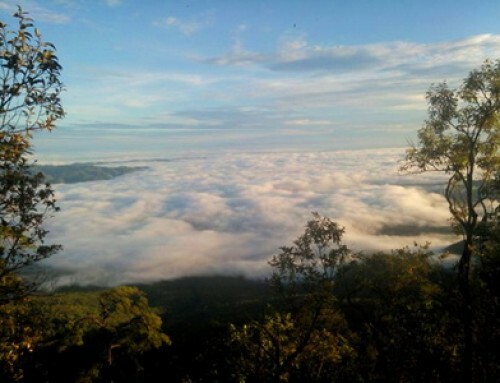 To get to the headquarters drive from Mae Hong Son town on highway 1095 around 20 km to the north. There is a left turn-off road to the park entrance. 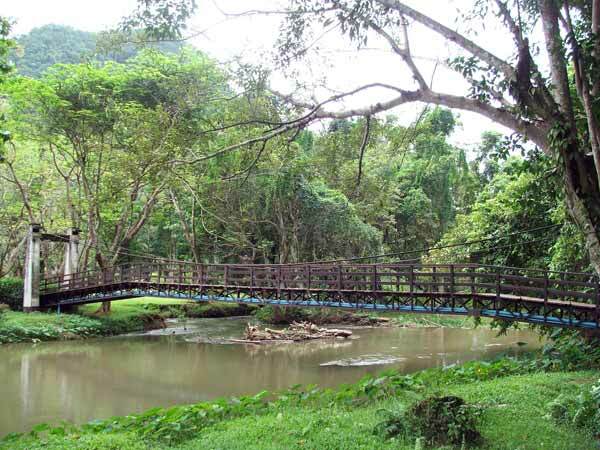 Tham Pla – About 17 kilometres from town on Highway No. 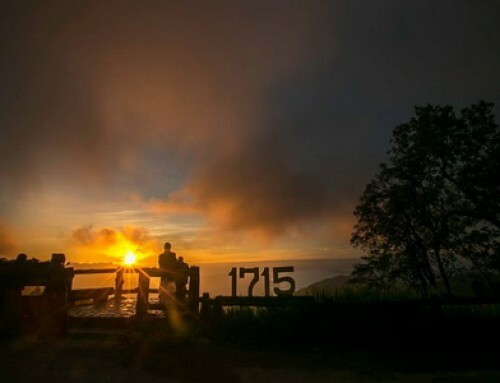 1095 (Mae Hong Son-Pai), Tham Pla is a popular attraction of Mae Hong Son. The surrounding areas are brooks and cool hilly forests suitable for relaxation. 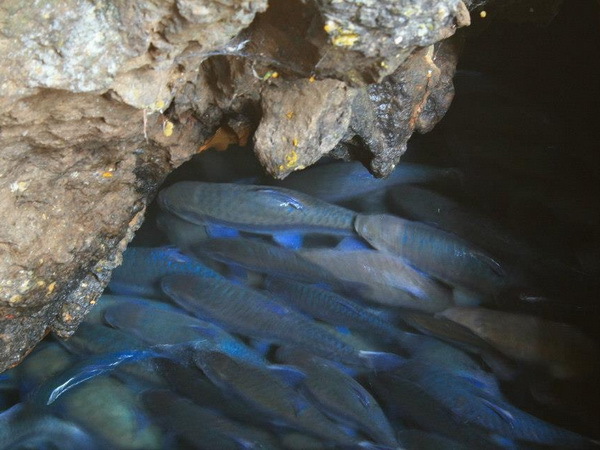 A special feature is the hollow cave filled with numerous freshwater fish known as Pla Mung or Pla Khang, which is of the same family as the carp. The fish are quite safe from being caught as they are believed to belong to the gods. Open daily from 8.00 a.m. to 18.00 p.m.